Shawn Atleo says he wanted to remove himself as a distraction, a lightning rod for opposition to the Federal Government’s so-called “First Nations Control of First Nations Education Act”, or Bill C-33. It’s the kids that matter, he says. So on Friday, May 2, he resigned in the middle of his second term as National Chief of the Assembly of First Nations. I can accept that. No reason to question his reason for quitting or his commitment to children’s education. But a politician’s words are empty without action. 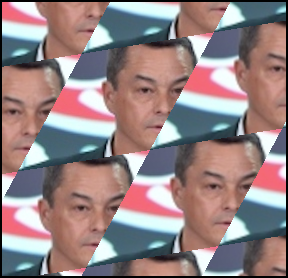 In this case, Atleo had people wondering – seriously concerned – about the direction he was taking the AFN. Examine the record and it wouldn’t be hard to conclude that the AFN under Atleo did little to advance Indigenous rights in Canada. In fact, it could be argued – and often is by his detractors – that the AFN under Atleo became an accomplice of the Harper Government and a branch office of Aboriginal Affairs, unwitting or not. In Atleo’s defense, people will point to a string of “historic” achievements while heading the AFN. First, there was the “historic Crown-First Nations Summit”, which led to the “historic Canada-First Nations Joint Action Plan”, and finally the so-called “historic agreement with the Assembly of First Nations to reform the First Nations education system.” One expects to hear about a “historic” trip to the bathroom after all that. Or a surprise “historic” meeting in South Africa while attending Nelson Mandela’s funeral. Wait… that actually happened. And someone did call it “historic” but I can’t remember who. For many, this apparent bromance between Atleo and Harper went too far especially when contrasted against a groundswell of grassroots anger and discontent. The Idle No More movement captured the mood perfectly with round dances and impromptu mashups directed at a raft of Harper Government’s policies that INM said were shoved down the throats of First Nations. FN Control of FN Education Act. In drafting the legislation above, imposed — not co-created with the AFN – chiefs complained about a lack of consultation. In every case, First Nations said the Acts above undermined Indigenous rights and chipped away at the jurisdiction of First Nations; shifting more and more control of First Nations into the hands of the Minister of Aboriginal Affairs and the Harper Government. Atleo may be blamed for some of above. But folks should look at what else went wrong at the AFN and why. If they did, they might learn that AFN staffers — experts in their areas of research or policy development — complained privately that they’d spend time, effort and expense developing draft policies, reports and analyses that expressed the wishes of First Nations. They’d send their work “upstairs” only to see their work gutted by the National Chief’s political staff. AFN workers and analysts blamed individuals with the National Chief’s political staff at first. Then they noticed that changes to their work were made after Indian Affairs officials (later, Aboriginal Affairs) did some arm-twisting. The message? Make the changes or risk delays and even the loss of funding. It didn’t take long before the National Chief’s political staff began to self-censor the work of the staff, second-guessing Aboriginal Affairs officials before they’d even read the papers. This pattern of self-censorship apparently got worse when Atleo’s team took over. Even when there were clear directions from a majority of chiefs to the AFN to do one thing, Atleo and his senior political staff might do the opposite. Take for example, repeated instructions by a majority of chiefs to oppose Harper’s FN Education Act until key changes were made. It was a line in the sand drawn by the chiefs telling Atleo to hold fast. Don’t give in. Don’t negotiate. He did anyway. For some time, it was clear there was a growing rift between the AFN and a majority of chiefs representing First Nations across Canada on a range of issues. This came to a head when Atleo and Harper convened a last-minute, invitation-only, news conference to unveil their “First Nations Control of First Nations Education Act”, or Bill C-33. There was almost no advance warning. It took place in southern Alberta on a Friday afternoon. It created instant suspicion among critics of the Act, and growing anger among the chiefs. The event seemed custom-made to stifle concerns of chiefs and avoid questions from journalists. It made a lot of chiefs angry because it seemed to be a deliberate snub of a few regional chiefs, who also sat on the AFN Executive, openly opposing the Act. Atleo and his supporters might say that rebellious chiefs drove him from the AFN because he supported the Education Act and they didn’t. That’s probably part of the reason but Atleo’s own actions provoked them as well. Atleo ignored directives issued by the chiefs not once but at least twice, and both times about the Education Act. For many of the chiefs, passage of the Education Act would cause long-term damage to Indigenous rights by surrendering parental control over the education of First Nation children to the Minister of Aboriginal Affairs. To Atleo, however, the Act would be another “historic” achievement, and an improvement in lives of people on-reserves across Canada. Across Indian country, there’s sharp disagreement how best to “smash the status quo”. On the one hand, there’s much distrust of the Harper government and its string of Acts that impact Indigenous rights – from Matrilineal Property to Education. With each Act, and complaints about lack of consultation, lack of information, lack of involvement in processes that affect their rights, suspicion and frustration grows. Each Act is seen as another blow to First Nation jurisdictions and the loss of ever more control over their lives. No one wants the status quo. Everyone wants change. But people differ on how best to make change happen. The Federal Government seems tone deaf to First Nations concerns even though concepts of “parental control” over their own children’s education is almost universal. Atleo’s actions didn’t create but they exacerbated divisions within the AFN. The organization pretends those divisions don’t exist. It works hard to present a united face to the public and hide the in-fighting. The AFN wants the outside world to believe it’s one big happy family. But everyone knows the AFN is crumbling and pulling itself apart. Now everyone within the AFN must share blame for refusing to confront serious issues within the organization that threaten to pull it apart. Despite evidence, the chiefs pretended nothing was seriously wrong. The chiefs allowed the National Chief’s office to run amok, almost out of control, and to isolate itself with political staff that interfered with the expressed will of the AFN’s chiefs and their communities. Instead of listening to the growing discontent among AFN staff, the National Chief let senior political appointees insulate him from those who make the AFN run – its staff. Meanwhile, the staff pretended if they just did their work, and didn’t complain openly, things might improve. Things only got worse. Regional chiefs heard dissent within the AFN ranks but decided it wasn’t their business to get involved. Chiefs from across the country failed, by choice or circumstance, to find out why they no longer controlled their own organization. And why the AFN was stumbling. Aboriginal political reporters failed to inform their audiences what wasn’t working at the AFN – an “organization of chiefs” – so they might tell their chiefs to get involved before things got worse. Instead, journalists put out canned stories carrying government labels, producing lots of interesting dots but rarely connecting them. They lobbed predictable questions and got predictable replies from politicians that added almost nothing to anything that mattered. It should’ve been THEIR story – something they owned – but they left it up to the Globe and Mail to provide serious insight into the rise and fall of Shawn Atleo. In the end, Atleo had one last “historic” to add to his list of accomplishments. He became the first AFN National Chief to quit that job. Sudie Kosmala on alt = different?